A Jacuzzi is more than a luxurious accessory for your home. 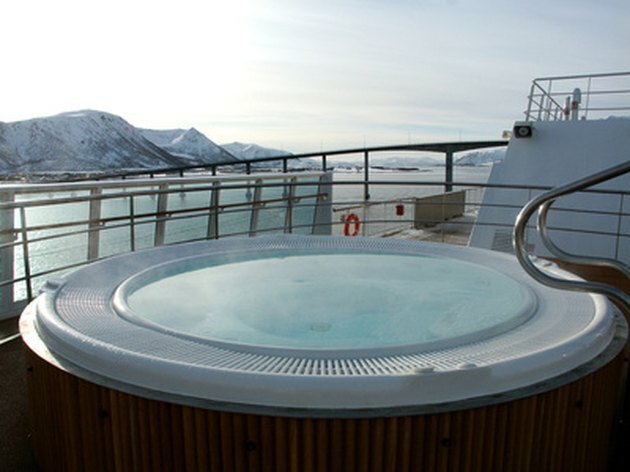 According to the medical website SteadyHealth.com, sitting in a Jacuzzi for a period of time has a number of benefits, both physical and mental. In fact, Jacuzzis can be used to help people with osteoporosis, as the buoyancy obtained in a Jacuzzi, along with light exercise performed underwater, can increase mobility and strength. Make certain to follow all cautions, as high water temperatures can pose health risks for certain individuals. A Jacuzzi can be an effective way to treat sore muscles and joints. The water jets inside the tub allow for a high-pressure hydro massage that you direct to specific parts of your body simply by moving around and adjusting your body to receive the full force of the water. When running at full intensity, the jets can provide something akin to a deep-tissue massage, soothing aches and pains. Sitting in a Jacuzzi can help heal sports injuries, as the heat can soothe muscle spasms and speed up recovery time.